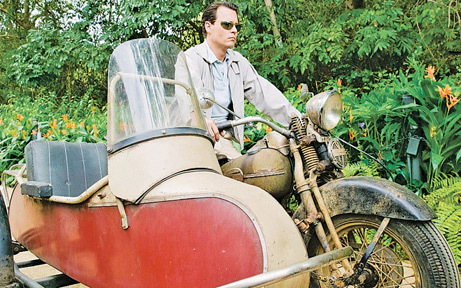 The first glimpse of the highly talented actor Johnny Depp came on the small screen as the young undercover police detective on the hit TV series 21 Jump Street. Since his arrival to the world of screen acting Depp has become one of the contemporary screen sensations who has dazzled audiences with his prowess for portrayal of various characters who at times are utterly bizarre such as Edward Scissrohands. 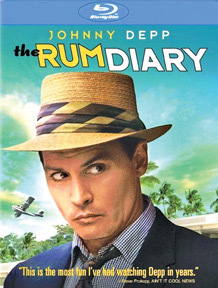 In the movie The Rum Diary based on the novel of the same name by Hunter S. Thompson, Depp occupies centre stage as the main character, the journalist Paul Kemp whose acting is one of the central elements that drive the narrative. The story shows Paul Kemp as an author who hasn't been able to sell becomes a success as an author, who hasn't sold his book. He gets a job at a newspaper in San Juan, Puerto Rico. There, he meets the inimitable Sala played by Michael Rispoli, who tells him that he thinks the newspaper will fold soon seeing as it is going from bad to worse in its circulation. One day while idling about on a boat in the sea, Kemp meets Chenault who is skinny-dipping while avoiding a Union Carbide party. The meeting strikes a spark in Kemp who becomes allured by her although the meeting is brief and seems not to promise any chance of close acquaintance. 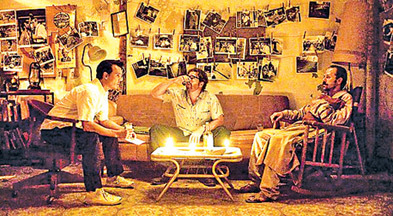 Getting to know the social climate of the tropical paradise, Kemp and Sala go on a drinking binge, which angers their editor, Lotterman played by Richard Jenkins. Kemp also meets Moburg played entertainingly by Giovanni Ribisi, a deadbeat reporter who is eternally drunk. One day while waiting for an interview, Kemp meets Sanderson played by Aaron Eckhart, a freelance realtor, who offers him a job writing ads for his latest venture. Sanderson is engaged to Chenault, who pretends not to know Kemp when Sanderson invites the latter to his plush beachside bungalow. Later, Kemp moves in with Sala, with whom Moburg also shares house. 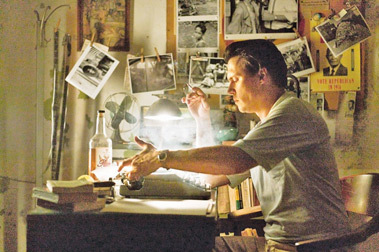 Kemp begins to see the poverty of San Juan, but Lotterman doesn't want him to write about it, as it's bad for tourism. When Kemp drops into visit Sanderson he meets two people named Zimburger and Segarra who want him to help with a real estate scam. Later, Sala and Kemp go to a restaurant and berate the owner for refusing them service; Kemp senses that the owner wants to kill them, and he and Sala beat a hasty retreat, pursued by angry locals. The police arrive and break up the fight, then throw Sala and Kemp in jail. Luckily for the two at the dead of the night Sanderson arrives to court and bails them out. The next day, Kemp meets Sanderson's team, who tell him that the US military is relinquishing the lease on some prime real estate. Zimburger takes Kemp and Sala to see the island property, then they head to St. Thomas for Carnival. Kemp eventually winds up on Sanderson's boat with Chenault. Sanderson who is vary of Sala pulls up Kemp for involving him in the deal. Later that night, they go to a club, and a drunken Chenault dances with local men to provoke Sanderson, with whom she has been fighting. The local owners of the bar beat Sanderson and Kemp and throw them out of the club. The next day, Chenault is missing, and an irate Sanderson tells Kemp that their business arrangement is over. When Sala and Kemp return home, Moburg tells them that Lotterman has left and that the paper will go out of business. He also sells them hallucinogens, which they take. Kemp has an epiphany while under the influence, and resolves to write an exposé on Sanderson's shady deals. Lotterman returns to office and though Kemp's story is a scoop as an expose of corrupt business, is rejected for publication. Later Chenault shows up at Kemp's place, and is turned out by Sanderson. Out of spite, he withdraws his bail, meaning that Kemp and Sala are now wanted by the police. Moburg also tells them that Lotterman has closed the paper. Kemp decides to print a last issue, telling the truth about Lotterman and Sanderson, as well as the stories Lotterman declined. To make money to print the last edition, Kemp, Sala and Moburg place a big cockfighting bet. They visit Papa Nebo, Moburg's hermaphrodite witch doctor, to lay a blessing on Sala's prize cockerel. They win, but return to the office to find that the printing presses have been confiscated. Kemp continues his quest, stealing Sanderson's boat. The end credits explain that Kemp makes it back to New York, and becomes a successful journalist, having finally found his voice as a writer. One of the things that the movie shows is that there may not always be heroic endings though the characters make valiant attempts to see justice prevail. In one way it is an ending that shows how reality works while impressing on the viewer that one's first defeat doesn't mean a complete failure of one's cause if one can in fact live to fight another day.